Today was a ‘free’ day in New York City — a day to do as much or as little as we wanted, and what we wanted based on our own interests. 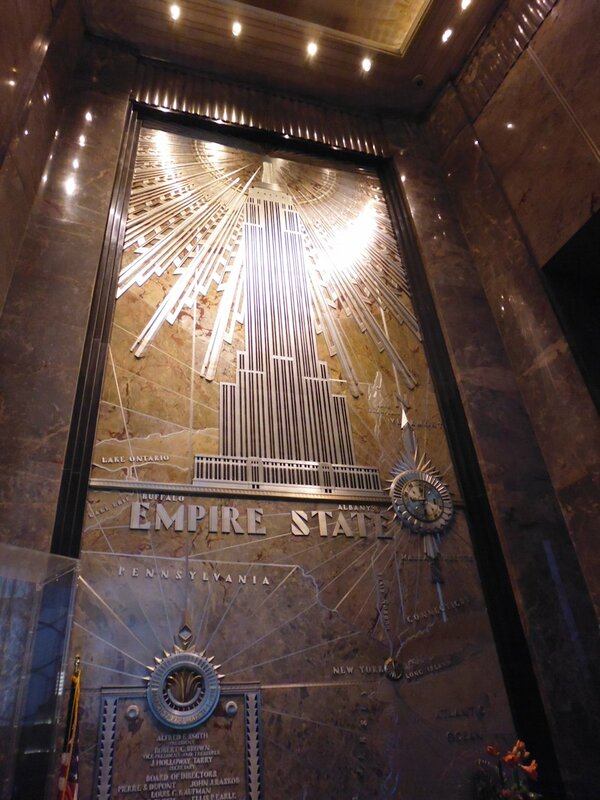 I found that another two people were interested in much the same stuff as me, so we joined forces first thing this morning and grabbed a cab to the Chrysler Building. You can’t go up this building, but you can go into the foyer and take photos, which we did. 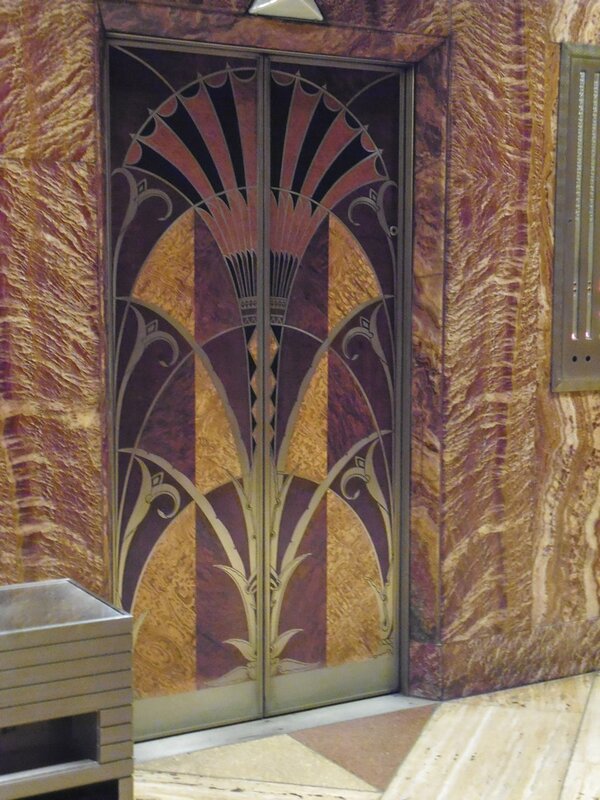 The art deco ornamentation is just gorgeous. 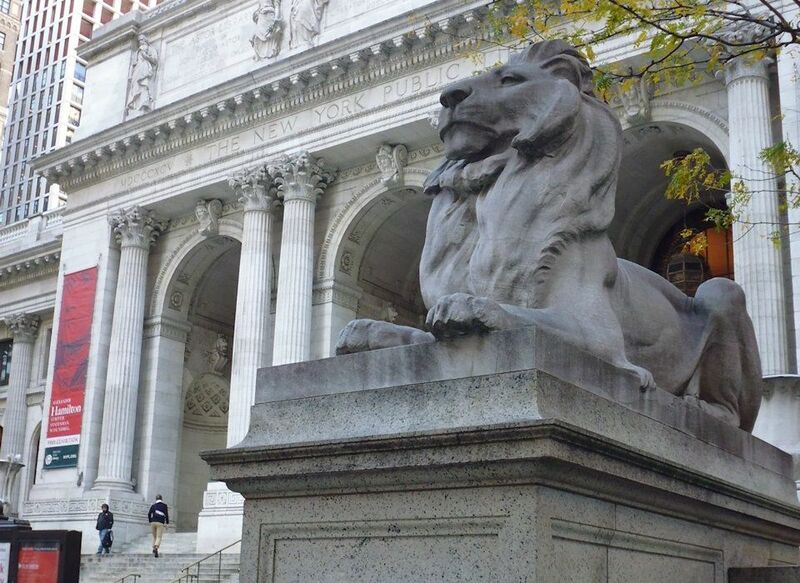 We had plenty of time and it was beautiful sunny day (though colder than yesterday at about 14C maximum) so we decided to amble to the New York Public Library, only to find the main building doesn’t open until 10am. So off to Starbucks for some coffee (a hot choc for me). 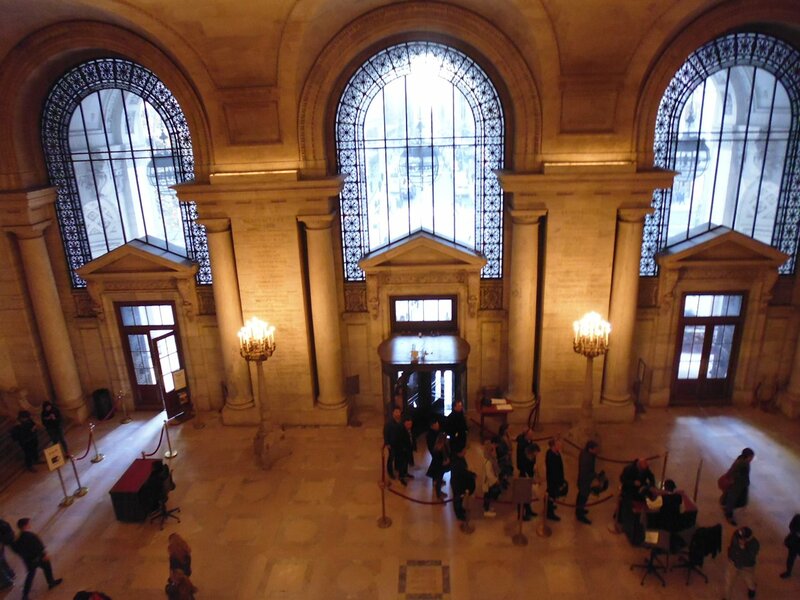 We were going to do the 11am docent-led tour but got there a bit early and were directed to the free self-guided tour (with audio player and headphones). This was interesting, but not what I’d hoped — I’d thought the docent tour might take us into the back areas, but it doesn’t; the audio tour replicated the docent tour. The architecture, marble carvings, ceilings, art work, bronze doors etc. are just amazing. 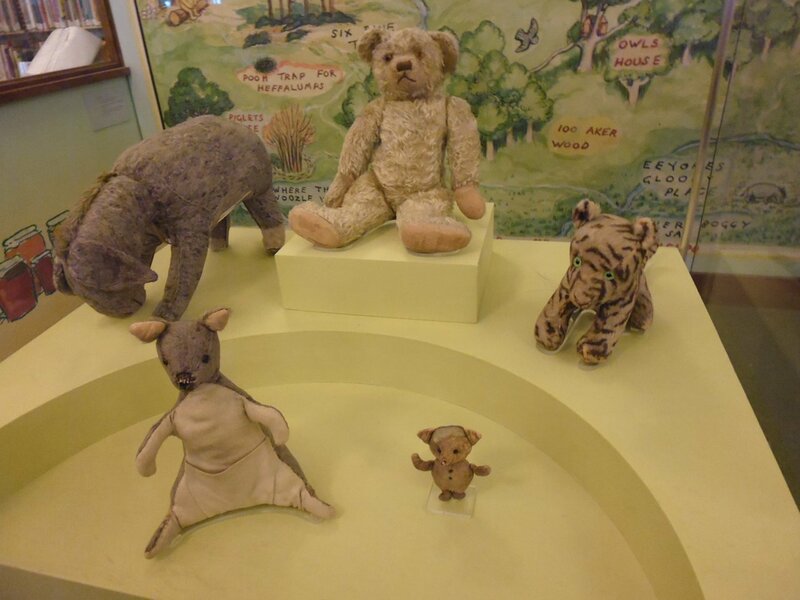 In addition, the NYPL now houses the original Winnie the Pooh stuffed animals, which were delightful (especially Piglet!). Next stop was Macy’s, where we had lunch. I then left my friends as they wanted to go shopping in Macys, and started the 10-block walk back to the hotel, via some of the streets of the Garment District. 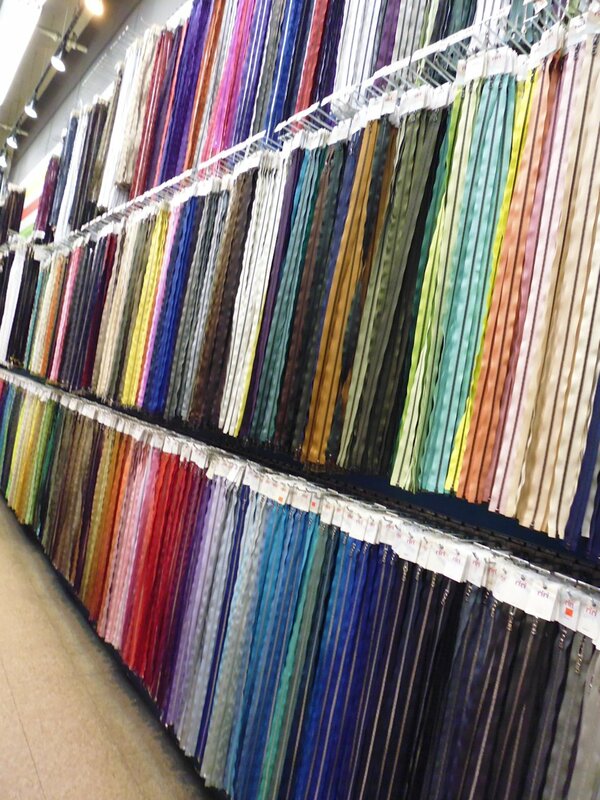 Although there aren’t a lot of retail shops there, those that are there tend to specialise in just one or a couple of lines — either fabrics, or zippers, or ribbons, or other specialty items. By the time I got back to the hotel mid-afternoon, my feet were killing me — except for lunch, I’d been on them for nearly 6 hours, and it’s all concrete or marble. I opened the window in my room, turned my leather armchair to face the view, and stuck my feet up on the window sill to take advantage of the cool breeze to cool them down. Ah, bliss!